Filling and smoothing was the first step. You can’t forget the underside of the car if you are heading to a major concours event. 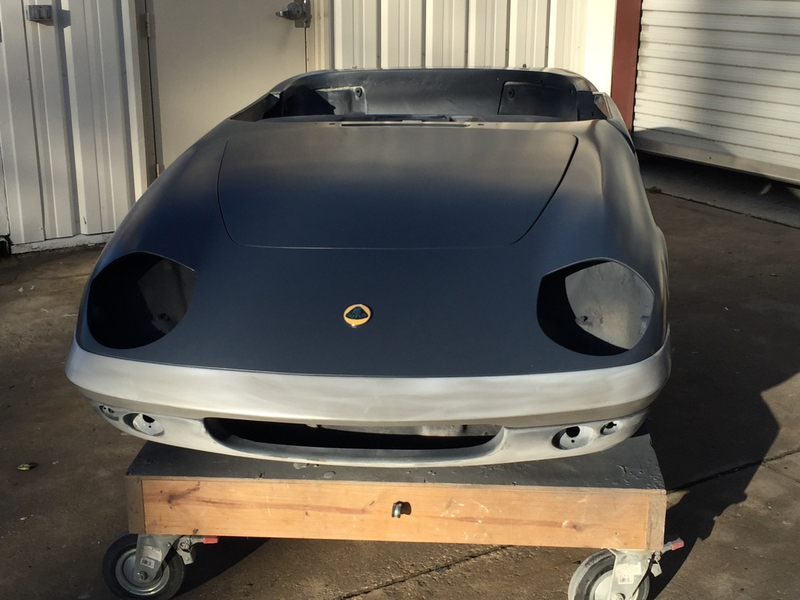 Heading to the finish line, our Elan is starting to look really nice. 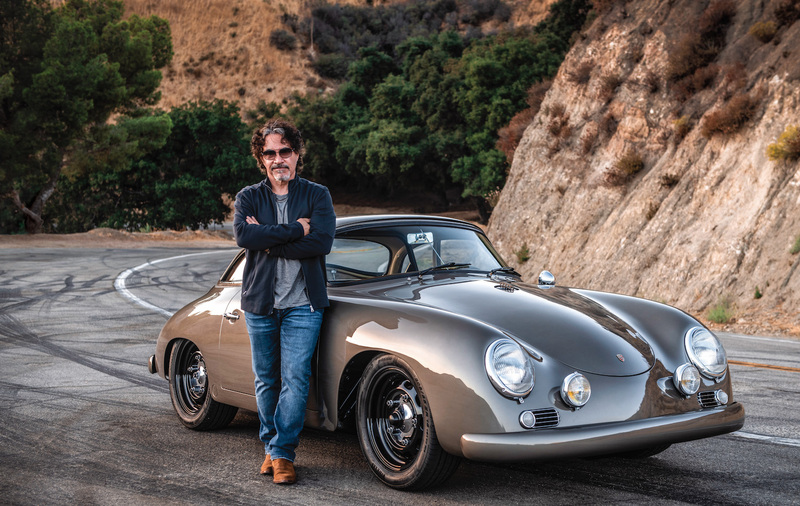 We used PPG products throughout every stage of the body work. Here most of the car (rear) is covered in PPG high fill primer. Sealed and ready for paint. And yes, we temporarily put the emblem and bumpers on just for fun to see how the car was starting to look. 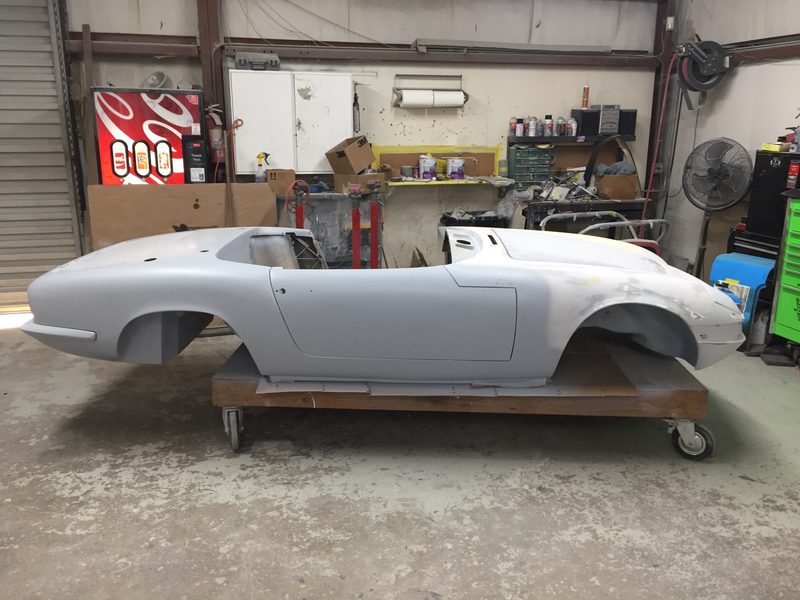 For the last 35 years, almost any bodywork we haven’t done ourselves on our project cars has been carried out by The Body Werks in Holly Hill, Florida. 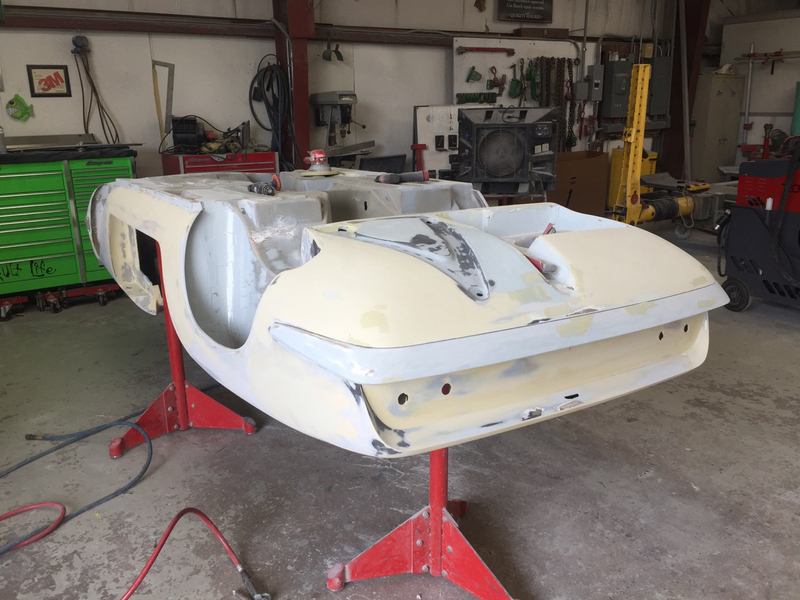 Up until this point in the project we did all the fiberglass ourselves, gelcoated the car, and then roughed in the bodywork. 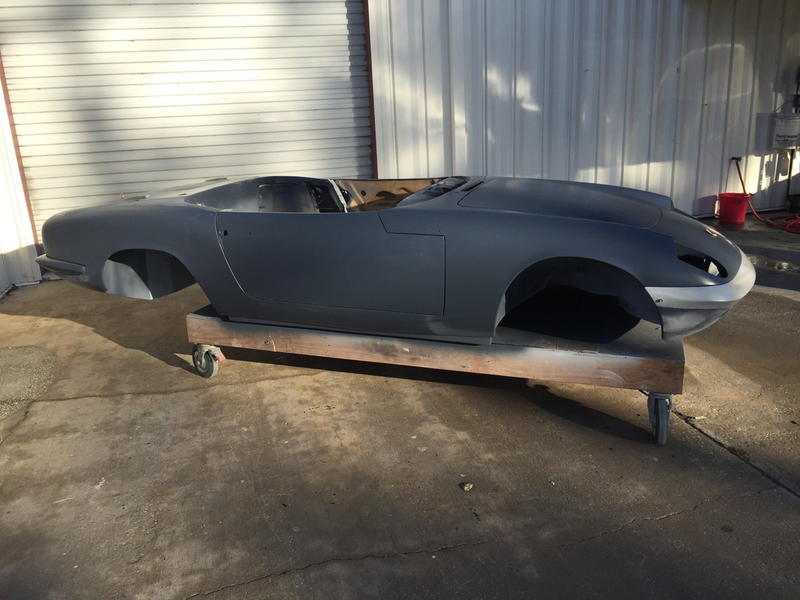 Then we dropped the car off to have the final shaping, sanding and priming done. 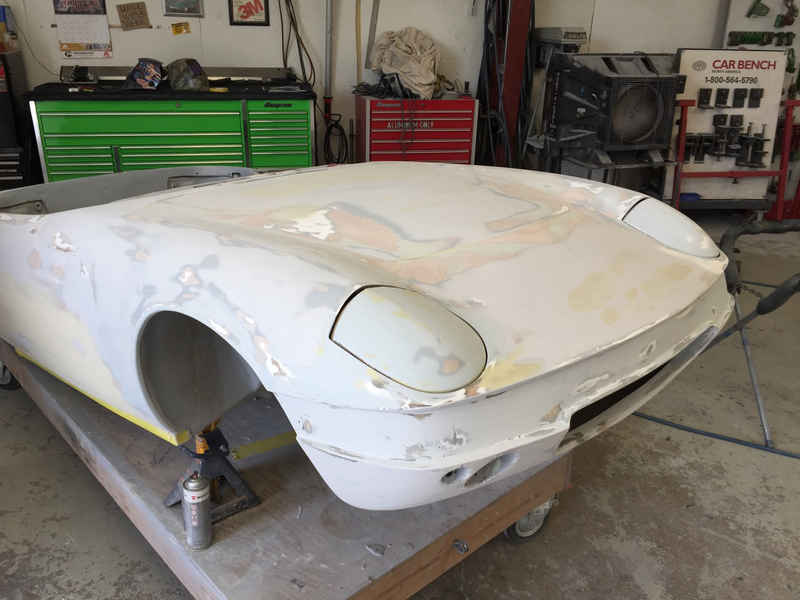 Since the Elan had been in such horrendous shape and we wanted it to be perfect, this process took a bit of time. When it was all said and done, we were very pleased as the body sat in first gray PPG high fill primer and then sealant. This stage of the restoration took about 200 hours. It can be done in less time, but it would not be concours worthy.